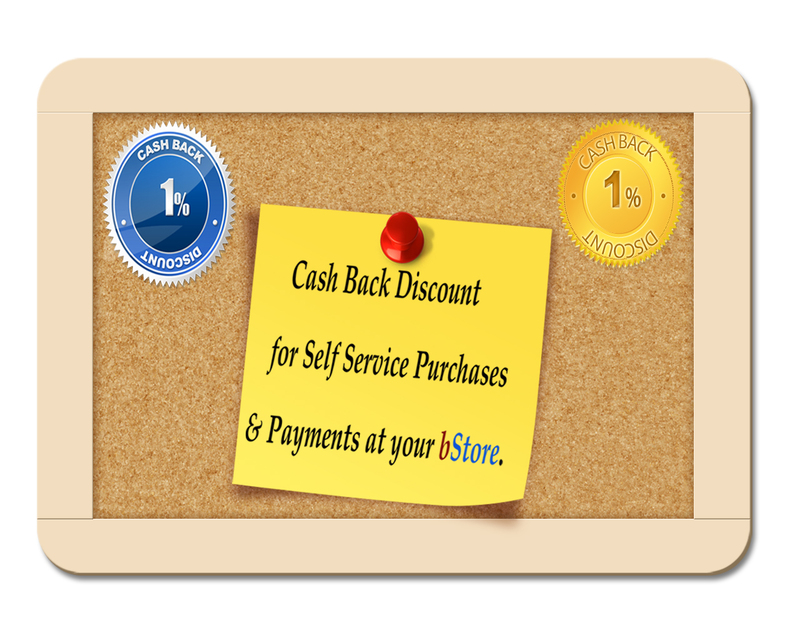 Cash Back Discount for Self Service Purchases & Payments at your bStore. Self Service Payment Through Bank (Online Transfer, NEFT – Online, NEFT – Branch & Account Deposit(#)) before bStore Closing. Discount get credited only on bStore Account & Used only for further purchases at bStore. 4-5 Working Days to Credit Discount on bStore Account. Reserve the right to change the Percentage Value Or Conditions at any time. No other Payment methods (like Cheque, Cash Pickup, Card Payments) avail this discount. No Similar Discount Claimed Together. Reserve the right to withdraw the discount option at any time. Note : Order Processing Day / Next Banking Day (before delivery) can be included for availing this discount in case of any National or Local Holiday for Banks on a day before the Order Processing.